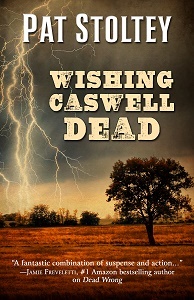 Pat Stoltey’s historical mystery, Wishing Caswell Dead, is scheduled for release from Five Star/Cengage Frontier Fiction on December 20, 2017. In the early 1800s in a village on the Illinois frontier, young Jo Mae Proud wishes her cruel brother dead. Forced into prostitution by Caswell, Jo Mae discovers she is pregnant and vows to escape. When Caswell is injured by a near lightning hit, he becomes more dangerous, and more hated. The flawed residents of the Village of Sangamon harbor many secrets. Caswell knows them all. Will he tell? Jo Mae runs away and eventually finds shelter with Fish, the old Kickapoo Indian who camps by the river. Wishing Caswell Dead is a historical mystery about the evil that hides within a village, one girl who is determined to save herself and her child, and a violent murder no one wants to solve. Pat (aka Patricia) Stoltey is the author of two amateur sleuth mysteries and a thriller in addition to this new historical mystery. She lives in Northern Colorado with her husband Bill, Sassy Dog, and Katie Cat. Wishing Caswell Dead is available for pre-order in hardcover and ebook at most bookstores and online booksellers. Friends change, love betrays, and the end results are never what you anticipate. Annie Collins is an OR nurse unwillingly drawn into the chaos of a friend’s life. Annie’s longstanding friendship with Libby Crowder deteriorated after Libby met Edward Matheisen and ended when she married him. When Libby reconnects with her four years later, she cajoles Annie into caring for her to help identify the cause of her puzzling symptoms. Is Libby actually ill or is this a bid for attention from her husband and those around her? When a close friend of Libby’s is severely beaten and dies from the injuries, Annie begins to fear for Libby, who she knows has secrets she’s not telling her. In the face of Libby’s so-called suicide, Annie struggles with her guilt, wondering whether she should have done more. Unable to stop asking questions, Annie finds herself drawn into a life that has derailed. Pursuing the mystery of Libby’s illness threatens to derail her own life, as well. 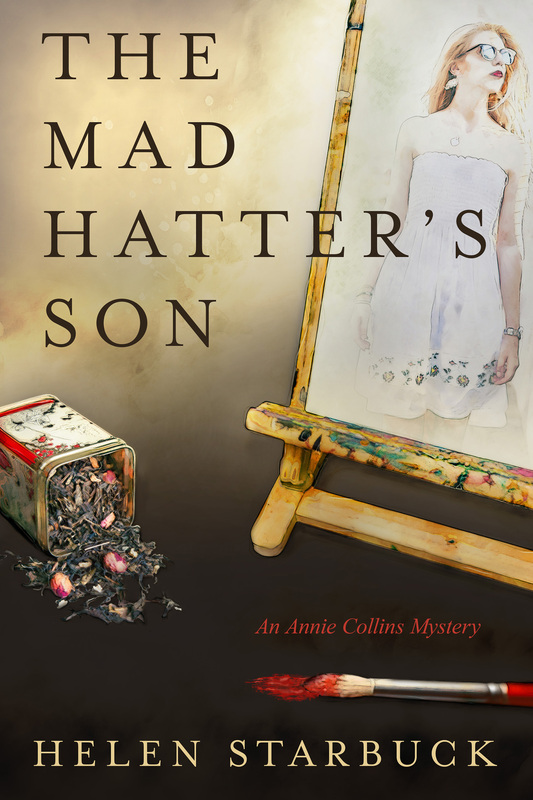 Colorado native, OR nurse, and author of The Mad Hatter’s Son, Helen Starbuck lives in Arvada, Colorado, and has written stories since junior high. She loves mysteries, thrillers, and books involving strong women. Following the adage to “write what you know,” she writes her mysteries from the perspective of Annie Collins an OR nurse. 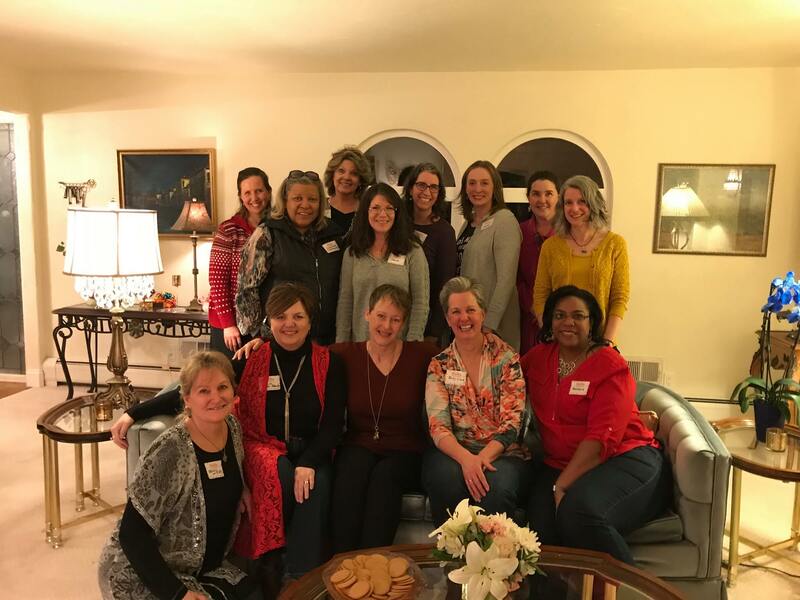 Save the date: Saturday, January 27, 2018, from 4-7 pm. 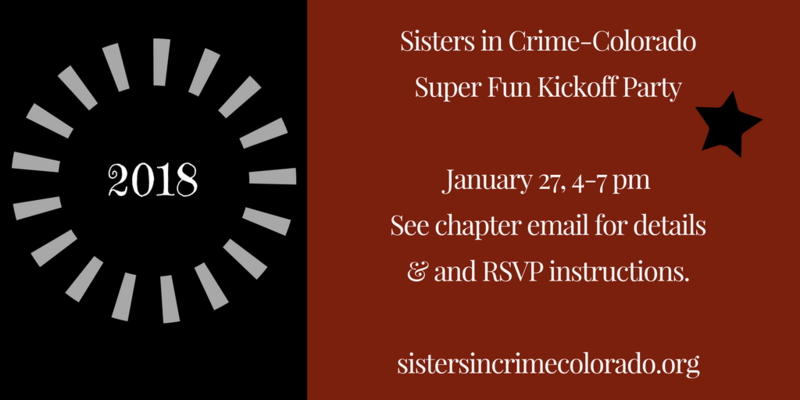 We are going to kick off another great year of SinC-CO with a party; please check your chapter emails for all the particulars. See you there!